Nowadays, people are requiring twenty-four seven availability of mobiles, and this is evident in the way we watch movies. With Android continuing roaring and soaring, questions like how to download free MP4 movies for Android phones and tablets are being asked. Considering that numbers of Android users may have the same trouble since Android involves many different major brands like Samsung, HTC, Sony, Pixel and more, here we offer an all-round solution to free MP4 movies downloads for Android (HD 720P/1080P 4K full Hollywood/Bollywood/Disney included), which touches on all the ways you can go to download free movies in MP4 format to Android mobiles. To free download MP4 full movies for Android phones & tablets, the most stable and safe way is to rely on the desktop apps. Here we use MacX Video Converter Pro, for that it can download free movies for Android in mp4 HD 720P/1080P 4K UHD from 300+ online movie sites with super-fast speed and high quality. * Download free mp4 movies for Android from Hindi Bollywood/Hollywood/Tamil/Telugu etc from 300 more sites like YouTube, Dailymotion, Metacafe, Pandora TV, movieclips.com, moviefone.com etc. * Download MP4 free movies in HD 1080P/720P, 4K 2160P, SD 480P etc. * Free download movies in MP4 for Android, as well as other formats like 3GP, MKV, MOV, AVI more . * Convert movies to Samsung Galaxy S9/S8/S7/Note 8, HTC U12/10, Xperia XZ2, Pixel 2, and other Android/iOS devices. Step 1: Click "+" button, and paste the target URL of the movies and click the "Analyze" Button. You can free add any HD Hollywood/Bollywood/Hindi movies, movie soundtracks, videos, songs etc as you want. Step 2: Click "Auto add to convert list" to set the output format. To download free mp4 full movies to Android, just choose MP4 in the popping-up page. Note: You can choose AVI, 3GP, MKV, MP3, AAC etc, or select the exact Android devices like Samsung Galaxy Note 8/S9, HTC more directly. You can also compress the MP4 free movies into smaller size to save more movies on Android devices with the editing features. Step 3: Press "Browse" button to select the target output folder, then click "Download Now" button to start the HD/SD mp4 free movie download for android phones & tablets in extremely fast speed. Movies Direct - this site allows unlimited Hollywood/Bollywood movie streaming and even download HEVC mobile movie for Android, iOS and PC. Once registered, you can get legal, safe and secure free movie download for Android, as it claims. The movies in its collection are all in MP4 format, which make things much easier when it comes to get movies in MP4 format for android or other mobiles. Most movies are in HD quality and the movie download speed is acceptable. Many desktop online sites also download free movies for Android in MP4 format. In the top movie sites, there are mydownloadtube, Urgrove, FullyWatchOnline, 300mbmovies4u.com, www.Moviescrib.com etc, all of which are good free movie sites that allows easy and free movie download for Android mobiles in HD/SD quality. Another type of sites you may use are various movie torrents sites. Among the tops are Kickass, Torrentz, ExtraTorrent, YTS, RarBG, Bitsnoop etc. With the torrent sites, you can easily download any Hindi/Tamil/Telugu/English movies for Android in high quality. Note: However, to use online sites to download free movies to Android in mp4 has one big drawback (other adverse factors aside): large file size and non-mp4 format. If you prefer online sites, you may need to convert/compress the downloaded HD movies with the desktop program mentioned above for better compatibility. There are numerous apps available to stream movies on Android, like the famous Moviebox, Showbox, SnagFilms etc. They all work fine to stream movies, TV shows on Android mobile phones and tablets. But it's no easy feat to figure out an app that is capable to free download MP4 mobile movies for Android. Here are a few that work. Mediatap- seamlessly works on Android 3.0 and later to download media files from Internet, like movies, music, photos, eBooks etc. It supports free Android movie download from more than 50 sites, including some major sites like Vimeo, TED. The process is easy: tap "Downloader" button and it will automatically download the media you want and save it under the "File Manager". MacX Video Converter Pro can free download MP4 movies for Android mobiles, as well as download 8K 4320P, 1080P/720P videos, movies etc from 300+ online sites. 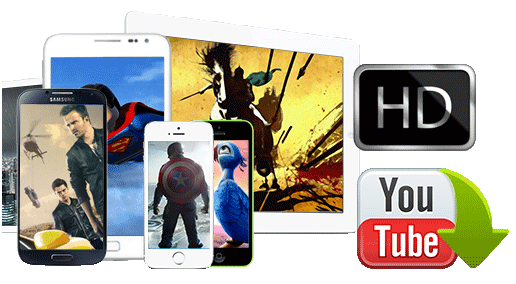 •Powerful Movie Downloader: Download HD movies from over 300 sites, like YouTube, Vimeo, Dailymotion in a fast speed for Apple Android. •Functional Video Converter: Convert various 4K/8K/10K movies/videos to over 180 video formats and 14 popular audio formats on macOS (Mojave), such as M2TS to MP4, MKV to MP4, AVCHD to MOV, etc.